We handle all of your rental property's needs. Finding the right renter without the right tools is no easy matter. Say goodbye to the headache and let our team market your vacancy. We get the job done quickly. 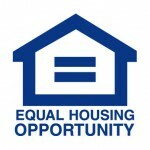 All tenants in East Coast Real Estate Group LLC rental homes must meet our internal screening criteria. 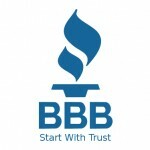 We use careful credit & background checks to qualify interested applicants. Our maintenance team keeps your property in great shape by responding to requests, coordinating repair work, and making certain that everything comes in on budget. We believe you should receive your rental earnings like clockwork. If you're still chasing after late payments each month, it's time to let our team take the reins. Our team regularly visits the rentals we manage. Inspections allow us to see what's happening inside the walls of your home. If we find problems, we immediately address them. We generate monthly financial statements that document your earnings and expenses. Sign into your account at any time to review the latest information. Evictions are never fun, but when no other alternative exists, you want to know you're not alone. We'll navigate the legal process for you & find a new tenant for your property. Keep your home legally compliant. Our team pays attention to the ordinances, housing guidelines, and insurance regulations that impact your rental property. Why Choose East Coast Real Estate Group LLC? As investors ourselves, we prioritize high-quality property management service and we never compromise our values in order to make a quick buck. By working with East Coast Real Estate Group LLC, you're choosing a company that puts honesty and transparency first. We're committed to delivering on our promises & helping you to succeed. We have a love our company or not policy, with no strings attached. So we do not charge a termination fee in the event that you don't love our company. Keep in mind that we are not perfect, but strive to run a great business. If you’re not happy with us, please just give us sixty days notice. Just because you have a house and we have a management company does not necessarily mean that we are going to be a good fit. We want to have a great business. People love our business. If not, no harm, and you can go on to another company. Our love our company or not, is a great guarantee. ECREG thoroughly screens every pet that tenants want to get approved. We use a third-party pet screening provider who specializes in screening pets for rental properties. If approved, the tenant has to pay a small Pet Administrative Fee every month to ECREG. ECREG takes these fees and uses them to cover our costs of administering the program and getting repairs done on your property if an approved pet causes damage. This guarantee covers up to $1,000 in damage above and beyond what the security deposit covers. We must have placed the tenants. This guarantee does not cover tenants we've taken over or inherited. This guarantee doesn't cover tenants who have to break lease due to military orders or transfers. It also doesn't cover any tenants who have abided by the lease terms by paying appropriate break lease fees. 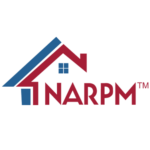 As property managers, we spend our days working with renters and we know what it takes to meet their expectations. We work overtime to provide a positive experience to every one of our tenants, which translates to fewer turnovers and helps squash potential problems. By incorporating tech tools like digital listings and online account portals into our management approach, we achieve the best possible results for our clients. It's easy for both homeowners and tenants to interact with us and we respond to inquiries and requests quickly. Customer service isn't just a routine part of the job for us. Instead, we pride ourselves on offering the best possible support for those we work with each day. Our team is friendly, available, and always willing to help you resolve any challenges you're facing. Ready to request to be onboard with East Coast Real Estate Group LLC? If so click the button for an on-boarding request. "I am really happy with the service I received from East Coast Real Estate Group LLC. They always pay attention to my needs, and are really responsive." "East Coast Real Estate Group LLC were the best choice I made. They offer superb value for money, and seem to know the industry inside out. I highly recommend them!"